I think it would be useful to be able to automatically submit records for approval using Workflow Rules. Some users may forget to click the 'Submit Approval' button, and lose precious time in a short sales cycle. Also, they may not realize that they need to submit a record for approval in certain circumstances. If you could Submit for Approval through Workflow Rules, certain conditions could trigger an automatic Approval submission. Does anyone else think this might be useful? With the Spring '15 release, you can visually automate your business with the new Lightning Process Builder (now GA). Will this come with existing license or will customer need to purchase it as a "feature" license? Hello, we've made significant progress on this. 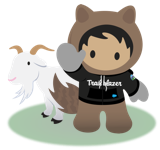 You can now submit records for approval via our next generation workflow tool, the new Lightning Process Builder which was just released in Beta. To join the beta, please log a case with Support and they will enable it in your org. Join the Official: Salesforce Workflow Automation Group! This works now with the Flow Trigger (Headless Flow) pilot. Any word on when this will be implemented? I'm curious... a year later - is there any insight into when this feature will become available? What is the status for this enhancement ? Is the 'Submit for Approval through Workflow Rules still on roadmap/planned/not planned/under consideration? We too would find this useful. This is would be very useful as it is something that new users particularly foget to do. A 7 year old request and now for 1 year Under consideration :( Any news on this? This would be so useful, effectively completing the automation loop required for so many business processes, such as sales opportunity threshold deciders etc.